Lately I’ve been running around in the morning that I don’t have time to make breakfast. 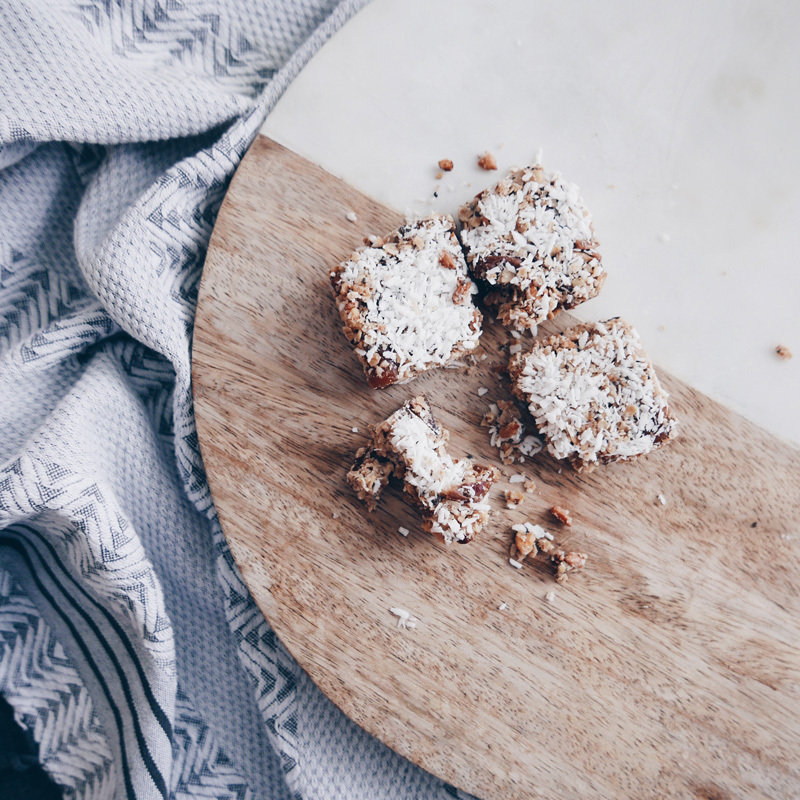 Luckily I always have a healthy stash of these homemade granola raw bars. These energy bars are gluten free, vegan, and made with organic ingredients whenever possible! 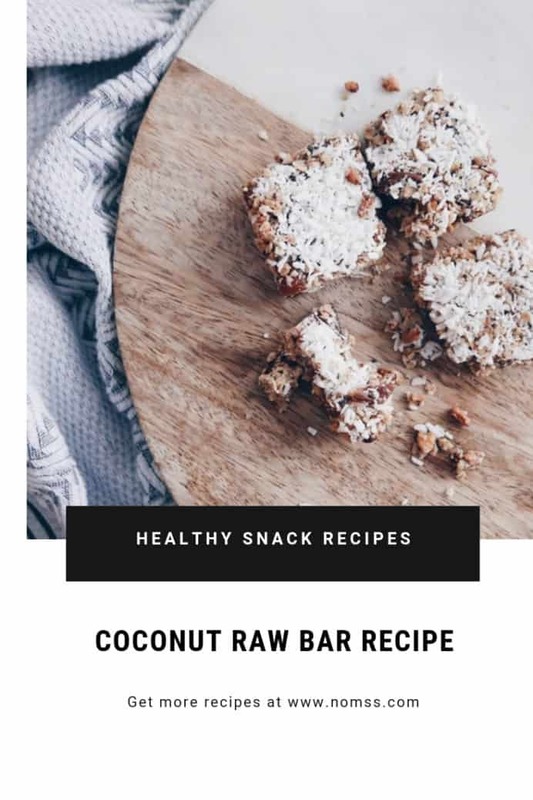 I love that these healthy bars are 100% delicious without added sugar and has zero fillers (unlike most store bought granola bars that leave you still hungry afterwards)! 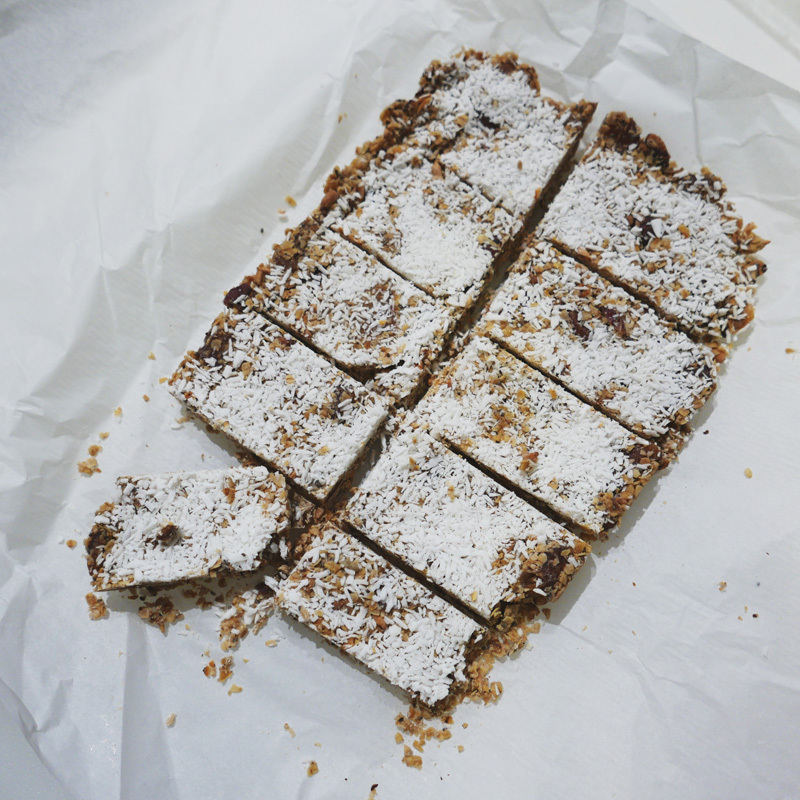 I’m addicted to these raw bars. They are great to travel with and I always have a few in my diaper bag. They are great “on the go” snacks! These granola bars are easy to make in under 20 mins. I usually use dates, walnuts and sunflower seeds as my stable ingredients. However you can make a few variations depending what you have available at home or what you are craving! You can substitute pecans, peanuts, etc with walnuts. Dates with figs. You can they idea…. Below recipe is a starting point and a guide for measurement. To be honest, I usually just free hand this when I make these raw bars. Protip: add a big heaping spoonful of coconut oil otherwise your bars will not set and you will get loose granola. You can alway melt extra coconut oil and reset the mold. 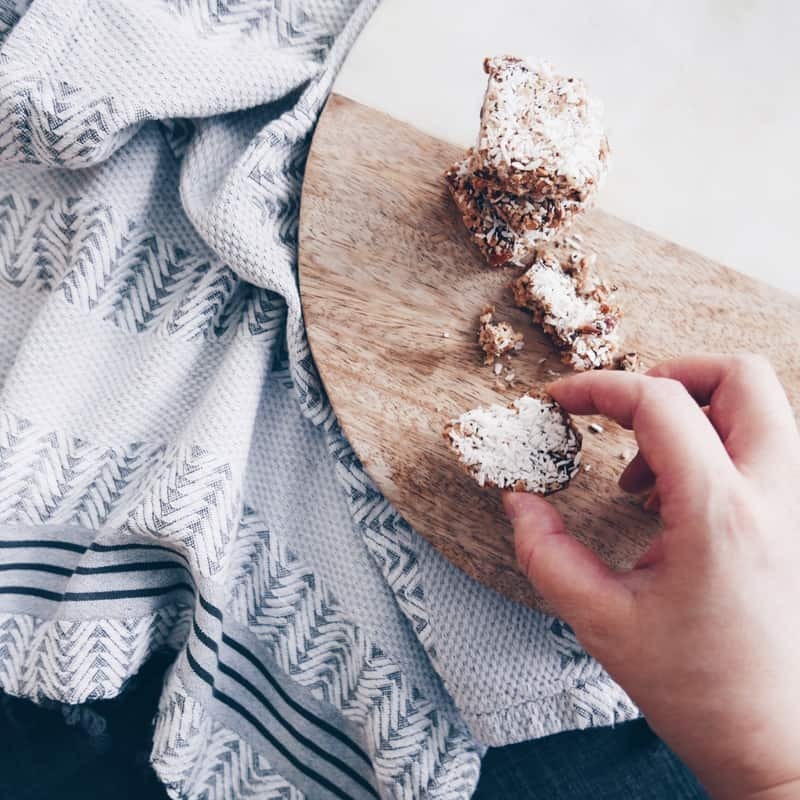 This is a super easy granola raw bar recipe that you can customize with your favourite ingredients. Gluten Free, Vegan. 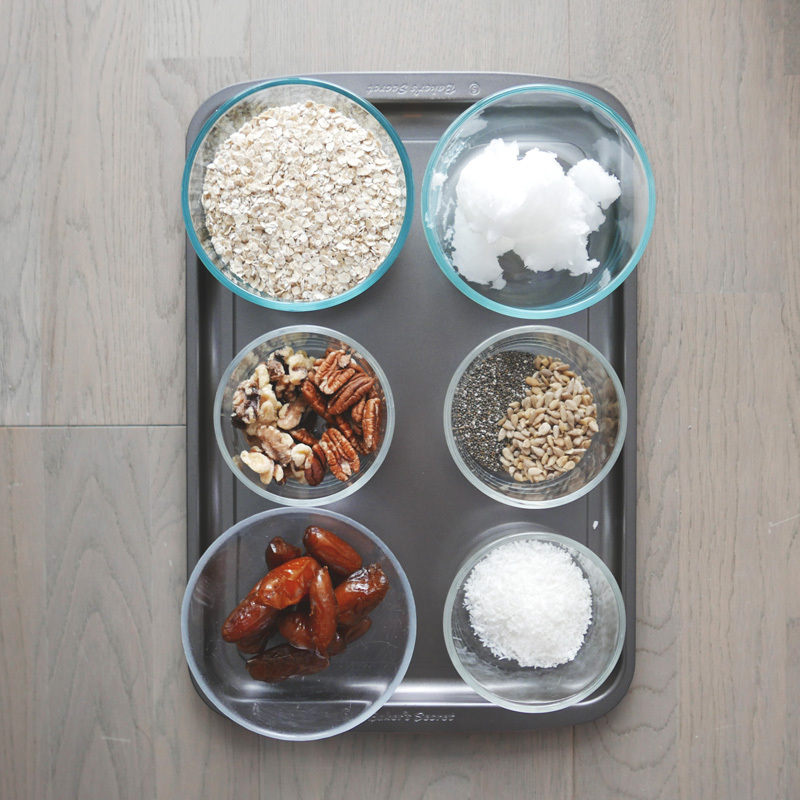 Mix rolled oats, chia seeds, walnuts and coconut oil in a mixing bowl. Make sure granola is evenly coated with coconut oil. Spread on parchment paper on a baking sheet. Bake for 15 mins or until golden brown. Make sure not to burn the granola. Mix the warm granola with chopped dates in a mixing bowl and stir with a large spoon until the dates are completed coated with granola. Line a glass dish with parchment paper and press the mixture into the dish. Sprinkle coconut flakes on top. Freeze the bars for two to three hours. Pro-Tip: wrap bars in parchment paper individually for an easy “on the go” snack. Pin the above image to your Healthy Snack Recipes board to bookmark this page. We are so excited to share our recipes with you!